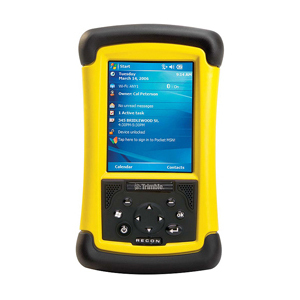 The Recon PDA computer adds new capabilities to help you do even more in the field. Available integrated Bluetooth and 802.11g wireless keep you connected. Versatile Microsoft Windows Mobile 5.0 software runs thousands of applications. Plus, the Recon offers even more Flash memory: 128 MB on the Recon 200X and 256 MB on the Recon 400X.